Can you identify this shortwave broadcasting site? Today, I had the fortune of spending a great deal of time at this impressive shortwave broadcasting site. No doubt, many of you have heard it. Can you guess the name of the station? Stay tuned, of course: more photos (and a full tour) to come…! This entry was posted in Broadcasters, News, Shortwave Radio and tagged Broadcasters, Photos on August 28, 2014 by Thomas. How about Radio Moscow at the peak of the cold war. Nlst time and frequency services. 2653shuswap.cres.sugar cane Williams lake. Box 11 V2g5K9. Canada. Swl 5-10-15-20 khz.mhz .am .60.khz . Those who guessed WWVB were correct! 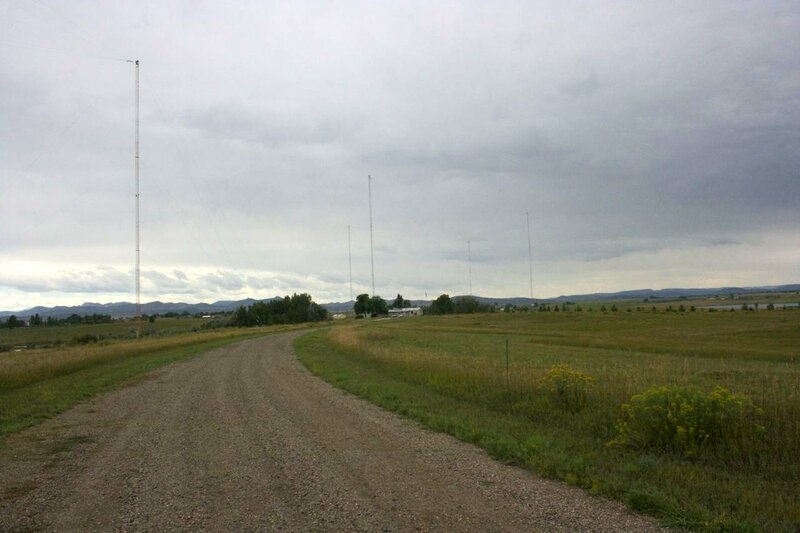 I took this photo of the south antennas of WWVB, in Fort Collins, Colorado, as I left the broadcast site. Steve, I _wish_ I was in New Zealand to take that photo! It’s on my bucket list! 🙂 John, sadly I’m not even sure if RCI still has masts up for their curtain antennas these days. I hope to visit WBCQ some day in the future, too. As soon as I have a moment, I will post photos of the site–I took more than 300. Is it RNZI New Zealand.. Looks like our countryside. Is it RNZI New Zealand? Looks like the NZ CONTRYSIDE. Is it WWVB in Ft. Collins, CO?